Led at 6.30.a.m. 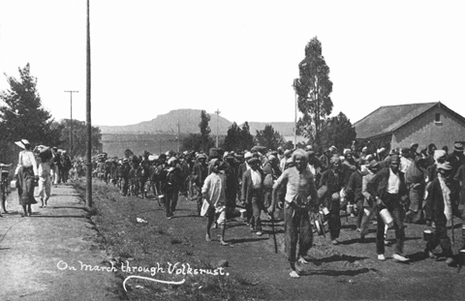 the "great march", consisting of 2,037 men, 127 women and 57 children from Charlestown; addressed marchers halfway between Charlestown and Volksrust. 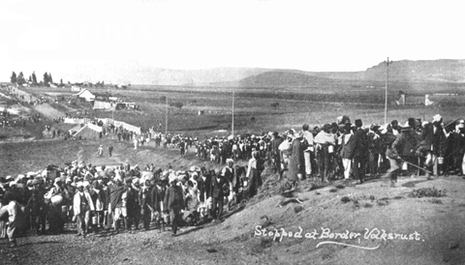 At Volksrust border, Police Superintendent and Immigration Officer interviewed Gandhi and Kallenbach. Marchers broke through Police cordon, crossed border. Gandhi arrested at 8.30 p.m. at Palmford railway station, marchers continued their journey.